In an interview with the specialist gaming website SPOnG, the Sony executive in charge of the PlayStation 3 launch in the UK next month has revealed that the country will get at least 220,000 consoles on zero day. Ray Maguire, head of Sony Computer Entertainment UK , not only told SPOnG how many PS3s would be available for eager UK punters, but also went to some length to explain the high pricing that has already drawn criticism. Of the £425 price tag, he said: "The UK, in particular, is quite expensive to deal with. Transport costs a lot of money. There's taxation, which is obviously government-controlled, so is more onerous. The cost of living is high, therefore people need to be paid more money at retail - and in our own operations"
Maguire also went on to express concern that anyone buying a PS3 from a cheaper country will have difficulty finding appropriate region-coded Blu-ray movies to play back and that simply getting the product to shops in time is a "logistical nightmare". 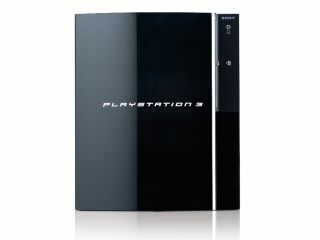 Naturally, we have every faith that nearly a quarter of a million PS3s will be ready to fly off the shelves on 23 March, but we aren't so worried for anyone importing a cheaper unit from abroad being unable to play movies. After, all a little thing called the internet makes it rather simple to pick up films from other regions that just happen to be a lot cheaper than those sold in the UK anyway.